The banking industry is an essential economic sector in Switzerland and frequently results in litigation. In most cases, litigation is directed against the banks but occasionally it is initiated by them. The categories outlined below are among a variety of situations that generate litigation in banking matters. The issue of bank liability for losses incurred by clients on their deposited assets is one of the most recurring themes in banking litigation in Switzerland. The applicable legal principles, as well as the client’s expectations towards banks, vary significantly depending on the legal nature of the relationship between the bank and its client. Typically, this relationship is characterised as ‘execution only’, ‘advisory’ or ‘asset management’ and Swiss courts have developed an abundance of case law setting out the relevant criteria to determine whether the bank is liable for its client’s losses. Overdrafts on client accounts constitute an important source of banking litigation in Switzerland. The most frequent situations are the ordinary foreclosure procedures against pledged real estate as well as procedures on the merits against the client where the overdraft is not covered by any pledged assets. The sudden abandonment of the Swiss franc-euro ceiling by the Swiss national bank in 2015 caused massive losses in the FOREX sector and led to a large number of unsecured overdrafts, in some instances for significant amounts owing to leverage effects. Enforcing pledges on client assets deposited with banks has generated numerous disputes in instances where banks have attempted to protect themselves against avoidance claims arising from transactions effected for the benefit of their clients, as well as against possible penalties imposed on banks in relation to the undeclared tax status of their clients. The use of emails and other forms of communication between banks and clients is a regular source of fraud that leads to disputes aimed at determining who should bear the responsibility for the consequences. The actions brought before courts have, in particular, addressed the question of the validity of contractual clauses excluding the bank’s liability in situations where it was not able to detect fraud. 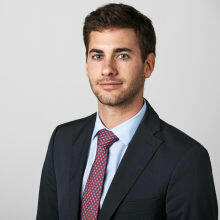 In the course of the recent years, data protection issues in the banking industry have kept courts increasingly busy, in particular in the context of the Swiss–US tax dispute and in relation to the transfer of employee data to the United States. It is common practice that the contractual documentation used by Swiss banks provides for a right of pledge in favour of the bank. Following the bankruptcy of Madoff’s fund and the initiatives taken by the trustee in charge of its liquidation, banks took steps to protect themselves against (potential) claims resulting from avoidance actions (clawback). In this context, Swiss banks froze the accounts of their clients who had received redemption payments from funds invested with Madoff. This approach has been confirmed by Swiss courts in several decisions. In April 2016, the Swiss Supreme Court issued a decision2 that recognised the bank’s right of pledge as a security for its potential recourse claim related to the risk of clawback. However, the banks’ confidence in the validity of this approach was jeopardised in October 2016 when, in a surprising move, the Supreme Court denied the coverage of such recourse claim for clawback by the general right of pledge of the bank. This case3 related to a client who had opened several accounts with a Swiss bank and signed a general deed of pledge and agreement pursuant to which he granted lien rights to the bank ‘as security for all debts and obligations, current or future, in relation with their mutual business relationship’. One of the client’s accounts was to be managed by way of a discretionary portfolio management agreement as well as a specific management agreement for investments in risky funds. Between 2004 and 2006, the bank bought, and then sold, several units of two investment funds, which in turn were invested in Madoff. The client had never participated in the decision to make these investments. Further to the clawback actions that had been initiated against the two investment funds, the bank informed its client that a portion of his assets were frozen as security against the bank’s potential clawback exposure. After the first and second instance courts concluded that the bank was entitled to block the account based on the general right of pledge, the client appealed to the Supreme Court. The Court’s assessment of this case relied on its case law pursuant to which a general deed of pledge is valid as long as the secured claim is determinable. Potential future claims are deemed determinable provided (1) they are related to the mutual business relationship of the parties and (2) the parties could reasonably expect the occurrence of such claims. The Supreme Court admitted the client’s appeal considering that, contrary to the previous judges, even if the recourse claim of the bank did exist (as to which the Court did not decide either way), such claim was not sufficiently foreseeable at the time the client accepted the right of pledge over his assets and thus could not be covered by the bank’s right of lien. The question that arose from this decision is whether the Supreme Court departed from its previous case law with respect to the foreseeability of the bank’s recourse claim for clawback risk. The answer is unclear to the extent that the Supreme Court, in its most recent decision, did not discuss or even mention its precedent case issued only a few months before. One of the keys to understanding the different conclusion of this recent ruling may lie in the relationship between the bank and its client. In the case underlying the April decision, the investments had been made further to the instructions given by the account holder, whereas in the other case the client had not instructed the bank to make the relevant investments. The review of the Supreme Court was also limited to the validity of the pledge rights. 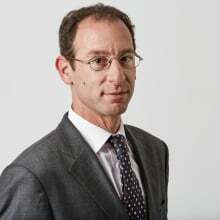 The case was remanded to the lower court for a new decision and the bank may still put forward other theories to justify its right to block the client’s assets (e.g., retention right, security for exposure under mandate agreement) meaning that the saga regarding the fate of Madoff clawback claims being heard before Swiss courts may not yet have reached its final stage. In the context of execution-only relationships, the bank is under an obligation to execute its client’s orders but is not bound by a general duty to safeguard the interests of the client. Accordingly, the principle under Swiss law is that the bank in such relationship shall provide information to its client only upon request. However, over the years, court decisions have held that there are specific situations in which relevant facts should be spontaneously drawn to the attention of the client by the bank. An example of such a case would be if it appears that the client is absolutely unaware of the risks incurred or if a special trust relation has developed over the years between the parties. to a lesser extent, where the bank had knowledge of negative press coverage on the directors of the client’s external asset manager, even though the press coverage did not concern a matter that was financial in nature. By contrast, in another decision dated 14 September 2016,5 the Supreme Court found that the bank had complied with its duty of care by informing its client that it had suspicions of potential criminal conduct by the external asset manager. The judges held that the bank was not expected to take additional precautionary measures on behalf of the client, it being specified that in this case the client did not react despite the alarming information provided by the bank. In ‘asset management’ relationships, the bank undertakes to manage all or part of the client’s assets at its discretion but in accordance with the strategy, limits and objectives set with the client. In contrast with execution-only relationships, under asset management relationships, the bank has an extensive duty of information, as well as a duty to take whatever measures are necessary to safeguard its client’s interests. In addition to the execution-only and asset management relationships, banking practice has developed an intermediary relationship, namely the ‘advisory’ relationship. This covers a wide variety of situations ranging from a mandate that, in many ways, is similar to an asset management mandate through which the investment decisions are taken directly by the client but on the basis of the bank’s regular advice, to relationships with one-off advice given by the bank. The bank’s duties to inform and advise the client depend on the type of advisory contract as well as on other prevailing circumstances, such as the client’s knowledge and experience in banking and finance matters. As a matter of principle, Swiss law considers that the client bears the risks of the transaction if it follows the bank’s advice, unless the advice was patently unreasonable at the time it was given. On 18 April 2017, the Supreme Court reviewed a case6 in which clients had invested in a Lehman Brothers structured product recommended by the bank. The investment was made in January 2007 and resulted in a near-total loss following the bankruptcy of Lehman Brothers. The clients claimed that the bank’s presentation of the product as being a guaranteed-capital structured product was misleading and that they were not (sufficiently) made aware of the risk of issuer. The Supreme Court ruled that this was not relevant. At the time of the advice, the issuer risk related to Lehman Brothers was minimal according to financial experts. Additional explanations on the risk of issuer would thus not have discouraged the clients from investing in the contentious product. Further, as the bank had not given any recommendation as regards the amount to invest, the bank was not expected to warn the clients about the risks associated with an absence of diversification, even though the clients had invested approximately half of their savings in the contentious product. The question that courts face regularly relates to the calculation of the damages that the client may claim in the event of a breach by the bank of its duties. In a recent case, the Supreme Court recalled the quite strict requirements regarding the demonstration of the damages.7 The case involved a relationship manager who had performed unauthorised transactions on a client’s account. Following the discovery of the fraud, the client sued the bank for US$6 million claiming that this amount corresponded to the difference between the value indicated on the false statements provided by the relationship manager and the effective value of his portfolio. In the course of the proceedings, the client had offered another method to demonstrate his damages based on the difference between his initial investment and the profit of approximately 2.8 per cent gained by a similar portfolio during the same period. The lower court considered that the exact amount of damages could not be determined and, by making an estimate, awarded the client US$5.7 million. Following an appeal of the bank, the Supreme Court overruled the decision of the lower court and dismissed the client’s claim. The Supreme Court held that, since it was possible to individualise the wrongful investments, the client was in a position to determine precisely his damages. This is done by calculating the difference between the actual value of the investments and the hypothetical value that they would have if they had been performed according to the agreed strategy. Hence, the client should have demonstrated his damages for each wrongful transaction, which he did not do. This leads to the dismissal of the client’s action. Switzerland is a federation. Pursuant to the Constitution, material civil law and debt enforcement procedures are governed by the federal state and have been unified thereunder for over a century. By contrast, the authority to legislate on the rules regarding civil procedure remained with the cantons, as a result of which civil proceedings in Switzerland were characterised by the existence of 26 different procedural civil laws. This was eventually deemed to be excessively burdensome, costly and an obstacle to the predictability of proceedings. After a lengthy process, a federal Code of Civil Procedure (CPC) entered into force as of 1 January 2011 and replaced the previously existing cantonal laws. Although the unification of the rules of civil procedure did not fundamentally modify banking litigation, it has certainly made it easier for lawyers to appear before other cantonal courts. In that respect, the change in question may be considered to make access to courts easier for clients. There is an ongoing review of the CPC. The major change of the current draft is the additional possibilities for collective action (currently not admissible to claim damages). Additional suggested amendments include considering that attorney privilege also covers the work of in-house attorneys in civil proceedings, a new procedural status for reports of private experts and reduction of the amount of the advance on judicial fees. Attorney–client privilege, in particular its scope, can raise questions in the context of banking litigation. This happens, in particular, when litigation is related to situations where the factual background is complex and requires fact-finding activities. In such situations banks often decide to carry out internal investigations, which can be conducted by lawyers. This activity is generally considered to be covered by the attorney–client privilege. This is based on the general rule that provides that attorney–client privilege covers typical activities of a lawyer, such as legal representation, provision of legal advice and drafting of legal documents. Other activities, such as serving as a director, asset manager, testamentary executor or trustee, are regarded as atypical activities for which this particular protection is not justified and are thus not covered by attorney–client privilege. This distinction is, however, not always clear and some activities are considered mixed. A decision by the Supreme Court made on 20 September 20168 caused particular concern in the legal community and illustrates the types of difficulties that may arise where the tasks carried out by lawyers may be viewed as overlapping with activities that a bank would be compelled, by law, to conduct. The case involved a Swiss bank, whose employee – a wealth manager – was the subject of a criminal investigation in relation to a corruption matter involving Greek officials. In this context, the bank mandated two law firms to carry out an internal investigation to determine if anti-money laundering legislation had been violated. The internal investigation also included the review of the bank’s internal notes and the interviewing of its employees. The question arose as to whether the work product of the bank’s attorney was covered by attorney–client privilege after various documents, including memos and minutes of interviews, were seized in the context of the criminal investigation. Following an appeal by the bank, the Supreme Court considered that the results of the internal investigation were not entirely covered by attorney–client privilege. In order to understand the reasoning of the Supreme Court, it must be noted that the Anti-Money Laundering Act (AMLA) imposes on Swiss banks (and other entities concerned) a duty to document transactions and clarifications carried in a manner enabling a third party to make a reliable assessment of the transactions and business relationships, and of compliance with the provisions of the AMLA. In the case at hand, the judges held that the fact-finding work done by the bank’s attorneys was part of the bank’s duty to document the clarification work done and that the bank had in fact delegated its duty to its attorneys. The Supreme Court concluded that this work could not be subject to attorney–client privilege, otherwise it would mean that the AMLA provisions could be circumvented by delegating these duties to attorneys. The Supreme Court confirmed this ruling on 21 March 2018,9 in a procedure directed against representatives of a bank for violation of their duty to report a case under the AMLA. The lesson out of these rulings is that attorneys and banks should be aware of this issue and take the appropriate steps before and during the performance of an internal investigation to isolate the information covered by attorney–client privilege from the rest of their (fact-finding) work. Swiss banks usually provide in their general terms and conditions that the contract shall be governed by Swiss law and that Swiss courts shall have sole jurisdiction over any dispute. In the context of clients residing abroad, the question that arises is whether Article 15, Paragraph a(c) of the Lugano Convention (CL) may result in setting aside such contractual agreement. In its ruling dated 9 February 2016,10 the Supreme Court considered that the client of a Swiss bank falls under the broad definition of a consumer within the meaning of Article 15 of the CL. However, in order to set aside a jurisdiction and choice of law clause, the bank’s client had to prove that he was actively solicited by the bank in his country of residence at the outset of the relationship. In the context of foreign proceedings, banks also frequently face document production orders issued by Swiss authorities following an international mutual assistance request be it in administrative, criminal or civil matters. In civil proceedings, when banks are ordered as third parties to produce documents, they may – or shall, based on their contractual relationship with the client – try to dismiss the order based on the argument that banking secrecy should prevail on the interest to produce the documents in the civil procedure pursuant to Article 166, Paragraph 2 of the CPC. The Swiss judge shall weigh up both interests and decide whether to maintain the order. In Swiss proceedings, the client to whom the documents are related is not in a position to intervene in this process. The Supreme Court rendered an interesting decision setting different standards in the context of international mutual assistance in civil matters in a dispute where the Hague Convention of 18 March 1970 (HC70) on the taking of evidence abroad in civil or commercial matters was applicable. In its decision dated 21 December 2015,11 it indeed considered that the client – if he or she is not a party to the foreign procedure – shall be heard in this procedure before any production order may be addressed to a Swiss bank through the channel of international civil mutual assistance. If the client had not been heard in the foreign procedure, the international civil mutual assistance request was to be rejected based on Article 12, Paragraph 1(b) of the HC70. In a decision dated 29 August 2017,12 the Supreme Court specified that the client has to inform the foreign judge that he or she disputes the request for international mutual assistance and requests to be heard if he or she wishes to assert rights under the above-mentioned case law. As a matter of legal principle, banks bear the risk of executing orders from unauthorised persons. Indeed, to the extent that a bank executes a payment without having validly received an order to this effect from the client, the bank is not authorised to debit the client’s account in order to cover the amount of the transfer. However, banks usually include a clause in their contractual documents and general conditions that shifts this risk onto the client. Pursuant to Article 100 of the Swiss Code of Obligations (CO) – applicable by analogy to this type of clause – such transfer of risk is not valid in the case of serious misconduct or gross negligence on the bank’s part. In the event the behaviour is attributable to officers with functions falling within the meaning of corporate bodies, the transfer of risk may be considered as invalid, even in the case of mere negligence. As regards the bank’s duties when it receives a transfer order, it is generally admitted that banks are required to verify the authenticity of orders only within the limits agreed by the parties, unless the circumstances surrounding the order give rise to doubts and warrant to carry out additional checks. where an executed order is only signed with the first name of the client and not with the signature known by the bank. The general conditions of banks usually contain a clause pursuant to which the client is deemed to have accepted an order in the absence of reaction within 30 days. The Supreme Court did, however, confirm that this legal fiction of ratification of the order is to be disregarded in situations where the client actually never received the information in relation to the transfers, such as for hold mail accounts. In the context of this decision, the Supreme Court addressed the disputed question of the impact of the client’s contributory negligence. In other words, can a bank argue that a client’s claim is to be reduced or discarded by virtue of the fact that the client contributed to the damage by reason of its negligence or reckless conduct? The Supreme Court took a formal and strict approach by stating that the client, in this type of situation, is not entitled to seek damages strictly speaking, but rather the mere performance of the contract by prohibiting the bank from debiting the client’s account on the basis of an authorised order. In such cases, according to the Supreme Court, the indemnity cannot be lowered as a result of contributory negligence within the meaning of Article 44 of the CO. On the other hand, the judges considered that the bank could assert its own claim against the client by invoking a breach by the client of its contractual obligations resulting in damages caused to the bank (i.e., the fact that it had to pay the third party without being in a position to debit the client’s account to cover the payment in question). In practice, this means that the bank may not simply oppose the client’s contributory negligence in its defence against the client’s claim, but has to prove that the conditions for a contractual or tort liability against the client are met, which is undoubtedly more difficult to prove. In a decision dated 15 June 2017,14 the Supreme Court ruled that if an order is unusual, the bank should, in principle, contact the client directly and not a third party with a power of attorney on the account. In the case at hand, an asset manager had meticulously forged the signature of her client to order transfers. The bank had identified that the transfers were unusual, but called the external asset manager – who had the necessary power of attorney to order the relevant transactions – to ensure that the orders reflected the client’s intent. This was considered a serious misconduct on the bank’s part. As a matter of principle, Swiss regulatory rules usually aim at protecting public interests – rather than private interests – and thus do not apply directly in the private law relationships between banks and their clients. For example, the Supreme Court stated in a decision15 that a person could not base a liability claim against a bank solely on a violation of regulatory rules (such as the one provided in the AMLA); the person has to prove that a law protecting his or her own private interests was violated by the bank, such as money laundering pursuant to Article 305 bis of the Swiss Criminal Code in order to have valid grounds for a liability claim. That said, there has been an increasing number of exceptions to this principle with regulatory provisions that envisage specific liability claims. By way of example, Article 145 of the Federal Act on Collective Investment Schemes provides that all persons involved with the establishment, management and distribution of the fund (e.g., the custodian bank) are subject to direct liability towards individual investors and other creditors of the company. The Swiss Federal Council’s message accompanying the draft Swiss Federal Financial Services Act (FFSA) and the draft Swiss Federal Act on Financial Institutions (see Section VIII, below) state that the various prudential rules that the actors of the financial sector will be expected to comply with are regulatory rules that are not directly applicable to client-bank relationships. They do, however, point out that civil judges will be able to review these obligations to interpret and clarify the applicable civil obligations. 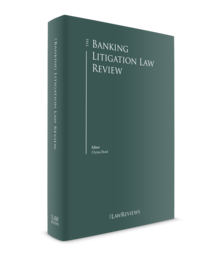 This approach highlights the increasing impact of regulatory rules and its impact on civil banking litigation. Following the 2008 financial crisis, as well as the international developments in financial regulations in general, the Swiss Federal Council has been actively involved in the enactment of two new pieces of legislation that will have an impact on the financial sector as a whole: the FFSA and the Swiss Federal Act on Financial Institutions. These two laws are still in draft form and will be subject to further discussion and amendments at the federal parliament. Without entering into detail, it can be said that several provisions of the FFSA are likely to impact the procedural rules governing disputes arising between banks and their clients. As an example, the current version of FFSA provides for the possibility to opt for a mediation procedure as an alternative to the mandatory conciliation procedure. In addition, there are discussions regarding the enactment of a rule that would exclude the possibility for banks to claim an indemnity for legal fees – as is usually the case in Switzerland for the successful party to a litigation – except where the amount in dispute exceeds a certain level. Although it is still uncertain whether these changes will eventually be enacted, they certainly reflect the prevailing trend that aims to favour the position of clients in relation to banks in the context of litigation. Banking litigation will undoubtedly continue to evolve in Switzerland. 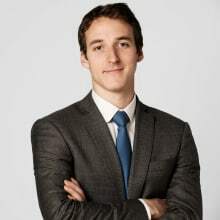 1 Daniel Tunik is a partner, and Lorenzo Frei and Téo Genecand are associates, at Lenz & Staehelin. 10 Published under ATF 142 III 170. 11 Published under ATF 142 III 116. 15 Published under ATF 134 III 529.